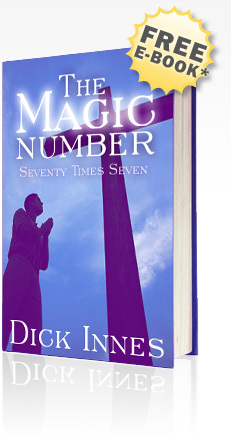 * The Magic Number e-book chapter is given to every person who joins the People Power for Jesus group and to every subscriber to Daily and Prayer Encounter. This is to ensure that your Daily Encounter is not blocked by your ISP or put into your "Junk Mail" folder. AOL subscribers: In the event you use a bulk email blocking product, please add to your "Buddy" list or make sure you allow email from this address. Some of our friends using AOL and other servers' blocking feature forget to modify their settings to allow our email in. Hotmail subscribers: Please select "Options" ... then "Mail Options" ... then "Junk E-Mail Protection" ... then "Safe List". Type in ... then click "add". Yahoo subscribers: If you find your ezine in the "bulk" folder, please open the message and click the "Not Spam" button. Other subscribers: Does your Internet Service Provider (ISP) have a favored mailer or "White List"? If so, please follow their procedures to make sure that is added. If your ISP has designated our mail to be sent to a "junk mail" or "bulk mail" folder, or simply blocked us altogether? Again, please contact your ISP and let them know the mail from is content you have requested. Many ISPs offer valuable safeguards to prevent unwanted email. ACTS International shares their commitment to the elimination of "spam".